@ 11:30 a.m. - 1:00 p.m.
We often think of politics and business as two separate worlds, but in fact the decisions made by elected officials are intertwined with business. From budgets to legislations, what happens on Capitol Hill impacts the business world. Join us for a discussion of civics and business, including a look back at the presidential election. 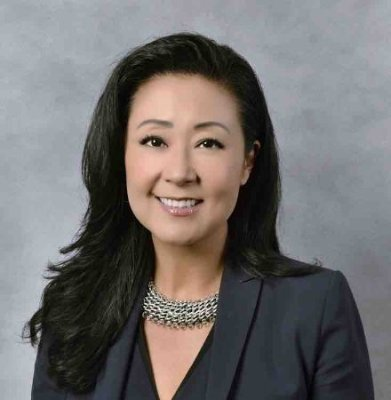 Grace Lee, Senior Vice President and Regional Director of Government Banking and Finance at People's United Bank, will share her insights in a fireside chat moderated by Beth Kurth, VP, Investor Relations, LaVoieHealthScience and former BWF president. Grace Lee manages People's United Bank's Government Banking Group for MA, NH and ME. Prior to joining People's United Bank, she was with the law firm of Eckert Seamans Cherin & Mellott, LLC where she served as the Vice Chair of the Public Finance Group. Prior to joining Eckert Seamans Cherin & Mellott, LLC, Grace served as First Deputy Treasurer and General Counsel for Massachusetts State Treasury. As First Deputy Treasurer, she was responsible for the management and oversight of the Massachusetts State Treasury. Ms Lee also oversaw the operations of the Treasury and its divisions, such as Cash Management, Debt Management, Abandoned Property and Water Pollution Abatement Trust, and Administration and Finance. Additionally, as a member of the Massachusetts Bar, she was responsible for managing the legal affairs of the Treasury, which includes compliance with state and federal regulations and statutes; drafting policies, and managing litigation by outside counsels and agencies. REGISTRATION: Please complete the form on the left. BWF members: $15; Non-members: $30. Lunch is included!